A woman was expected to survive after being struck by a BART train Sunday night as she was on the platform of the North Concord/Martinez station, a BART dispatcher said. The collision was reported at about 8:20 p.m. at the station at 3700 Port Chicago Highway in Concord. The woman was taken to a hospital and is expected to survive, officials said. 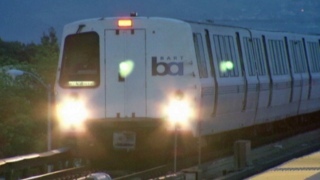 The collision prompted a major delay at the North Concord/Martinez station, affecting passengers in the Pittsburg/Bay Point and San Francisco directions. The station is open and the delay is over but residual delays may exist, BART officials said.